The multi-purpose Deluxe Fleece is a beautiful, luxurious and at the same time highly-effective fleece rug. 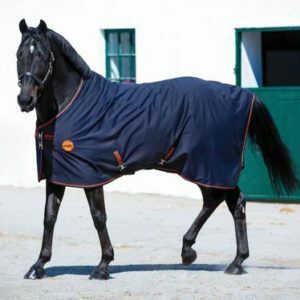 Excellent breathability with thermal and wicking properties means this double-bonded fleece can act as an under rug on cooler nights, show rug, travel rug in cooler weather, wick away moisture after a wash or exercise. All while looking super smart! 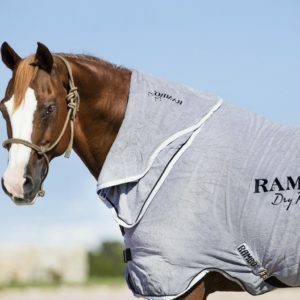 The Rambo Dry Rug is a fantastic microfiber towelling cloth rug with a smart hideaway neck hood. It dries your horse in record time, absorbing moisture to leave a high gloss and smooth finish to your horse’s coat. Roll up the neck/hood to dry the mane and neck, roll back into a hideaway pocket when not needed. Elasticated cross surcingles and an adjustable multi-fit front ensures a close-contact fit on a variety of horses. Invaluable for busy yards! Colour – Grey with Silver/Black trim. Our best selling Rambo Dry Rug now comes in a 2nd option! Still available in our incredibly popular Microfibre Towelling Cloth, it’s now also available in a incredibly lightweight polar fleece, offering the same fantastic features with super absorbency and fast drying fabric. With a smart hideaway neck rug, this quick dry rug dries your horse and prevents other rugs getting damp and wet. It absorbs moisture to leave a high gloss and smooth finish. A must for any show prep. Elasticated cross surcingles and an adjustable multi-fit front ensure a close contact fit, a must have for busy yards! Available in a gorgeous Blue with Black&White trim. The Rambo Ionic Fleece is a cosy new addition to the Ionic range.It is not a heating product – it stimulates circulation and lymphatic drainage.